Since the late 1920s, porcelain veneers were the way to create picture-perfect smiles for Hollywood stars. It all started with a small cap that would fit over the star’s teeth during their big scenes. Since then, veneers have come a long way. Going from being used as temporary caps to permanently-bonded composites, they can now give you the smile you’ve dreamed off. It’s time to stop hiding behind your hand every time you laugh at a joke or consciously remain tight-lipped during your dates. Today, porcelain veneers give you the chanceto correct your smile. They’re now made of tough composite or porcelain shells that are directly bonded to your teeth for a permanent and natural fix for your smile. Your dentist will adjust your natural tooth to fit the custom-made porcelain shell snugly. Your cosmetic dentist checks the shade and fit of your tooth before they permanently bond it. Today, veneers last about 10-30 years with regular preventive maintenance. There are two kinds of veneers: porcelain and resin. Resin veneers create a natural look by having the composite placed on the appropriate teeth and sculpted by your dentist. It’s nice that this process can be done in one simple appointment so you wouldn’t have to worry about taking any days off of work. 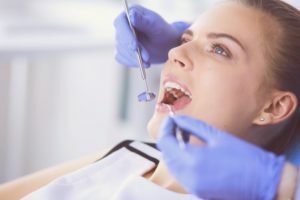 Porcelain veneers often require two appointments because your existing tooth needs to be adjusted by the dentist before your veneer can be bonded. A custom-made finished veneer is sent from the dental laboratory to your doctor and is securely attached to look as good as new. It’s important to consult your cosmetic dentist to get precise estimates and details about how porcelain veneers will benefit you. The cost typically depends on how many veneers you need placed as well as what kind of resin or composite you choose. Because they have a significantly longer lifespan than other options such as direct bonding, it is a nice option to save you money in the long run. At Flenniken Family Dentistry, our top priority is to see patients’ smiles shine ear to ear on their way out. With your newfound confidence, you will be able to take on the world again. With decades of experience and a special focus on cosmetic dentistry, we can provide you with veneers that will change your life. For any questions or to schedule your first appointment with us, visit our website or contact us at (717) 249-7777.